This month, we take time to thank Sister Betty Jane Gardiner for her tireless work to pull this column together for us each month. It's not an easy task. As you can see from the list, she has covered a wide variety of people and subjects during the past year. When Marion Beecher passed, there was only one person who had the ability to pick up the torch (in this case a pen) and carry on Marion's vision for this column. She has done a spectacular job. This month she has several subjects in the works for upcoming columns but they are difficult to complete for a lack of information and photos.... a common problem she has with the column. If you have a person or subject you would like to see featured in “Do You Remember” please contact me. It would be even more wonderful if you had photos to go along with your suggestion. Let’s make Betty Jane’s job a little easier and lend a hand! 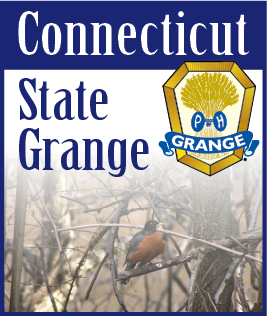 Anyone who knows Betty Jane will know that she will be very embarrassed to be featured in the Connecticut Granger and on the Grange website in this way but she really cannot be thanked enough for carrying on the monumental task of writing this column each month. Now I wait. . . for the phone call after she sees this in the Granger!